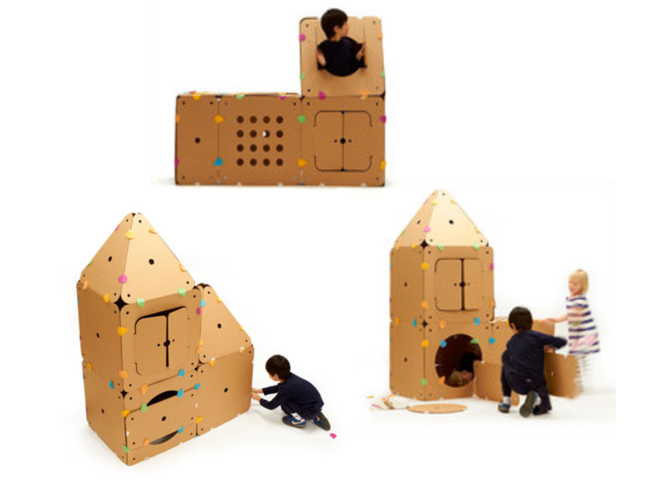 When I was a kid, we were always excited when an appliance or something else really big got delivered to our home, because then we could use the box it was delivered in, to build a fun fort for us to play in. Forts are magical places for kids to dream and play in, but they also provide a learning experience that encourages your kids to think and plan out their own living dreamspace. 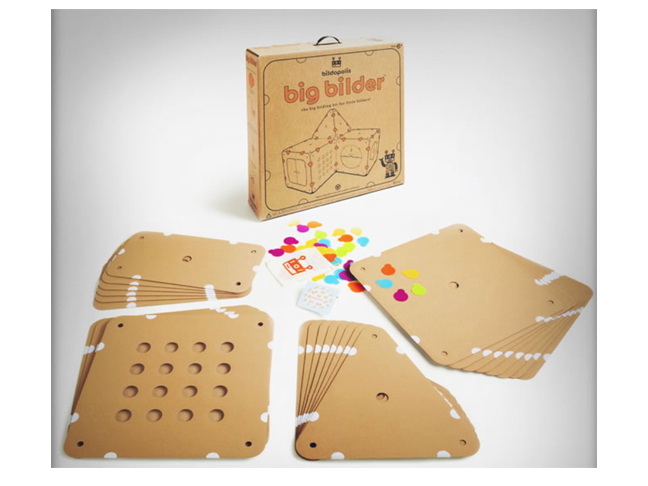 So when I came across these cool Big Bilder Kits, I thought they were pretty genius and definitely worth sharing with you. 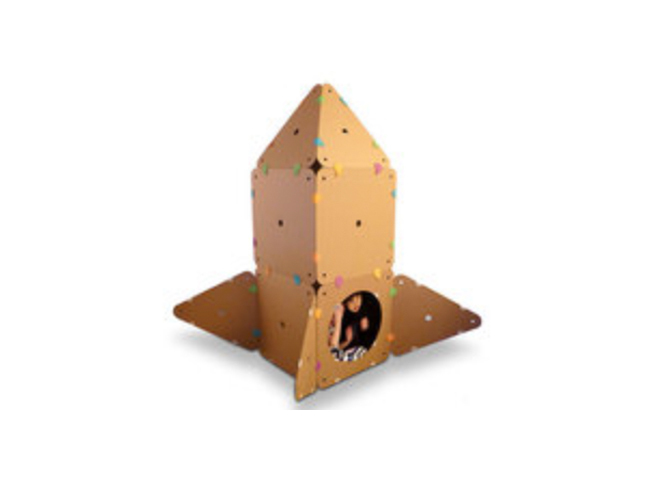 Not only are they fun for kids to play in, but these kits also encourage kid’s creativity & imagination, increases their dexterity and gives them a sense of spatial awareness that teaches them how to think in 3D. And in addition to the learning experience these kits can provide, it’s nice to know that every one of these Bilding Boards is made from totally recycled material, so they’re earth friendly too. And if your kid’s dreams are bigger than just within our own universe, they can plan out how to build their own imaginary spaceship that will take their minds and imagination into outer space too!